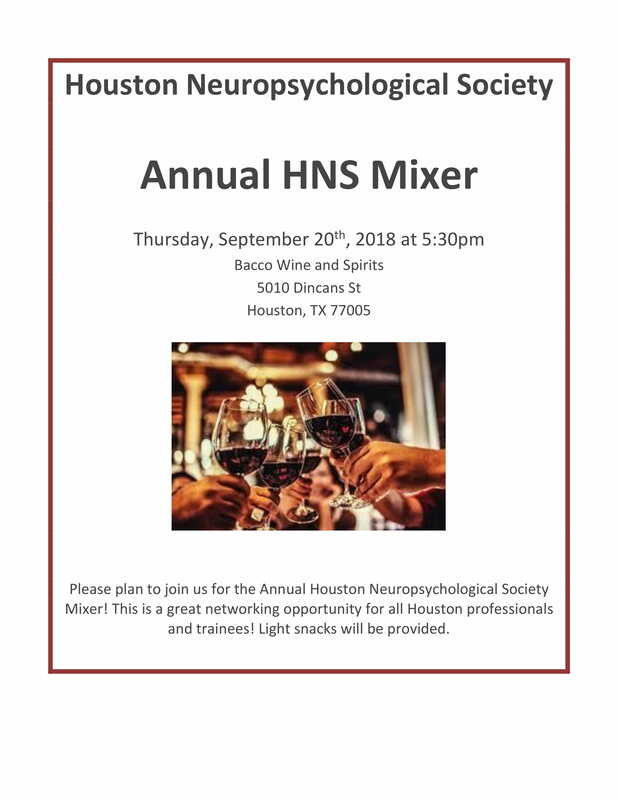 Houston Neuropsychological Society | Educating. Connecting. Promoting. 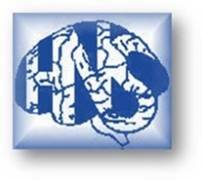 The HNS Board is interested in creating a Patient Education Portal on the HNS website. The Educational Portal will contain patient educational materials from experts in their respective specialties for use by our membership. By combining the shared expertise within our membership ranks, the HNS board thinks that this Educational Portal can be an added benefit that members will find useful in their daily practices. If interested, please send educational handouts that you may already use with your patients to member-at-large, Dr. Michele York (myork@bcm.edu). Thank you to all who have sent handouts already! This entry was posted in Events on July 20, 2018 by Hannah Combs. This entry was posted in Events on March 20, 2019 by Hannah Combs. HNS will offer 1 hour CE credit for attending this lecture. This entry was posted in Events on January 22, 2019 by Jennifer Stinson. This year’s annual mixer will be held on Thursday, September 20th, starting at 5:30pm! Please plan to join us. This is a great opportunity for all Houston professionals and trainees. Meet or catch up with your current and future colleagues over wine and light snacks. This entry was posted in Events, Social on August 18, 2018 by vkordovski. Pizza will be available at 5:15 p.m.
Talk will be held from 5:45-7:00 p.m. 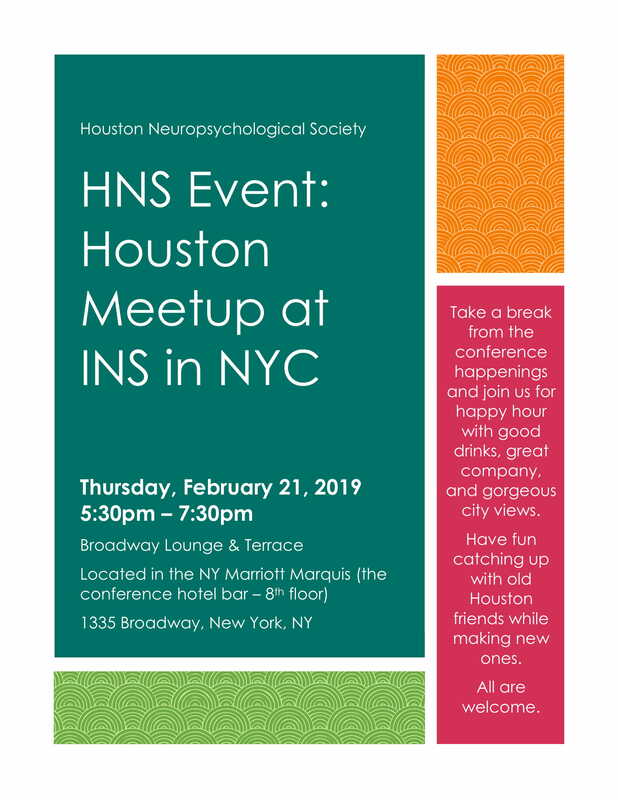 The Houston Neuropsychological Society designates this Continuing Education Activity for a maximum of 1 CE Hours/Credits. The Houston Neuropsychological Society maintains responsibility for this program and its content. This entry was posted in Events on June 22, 2018 by Hannah Combs. 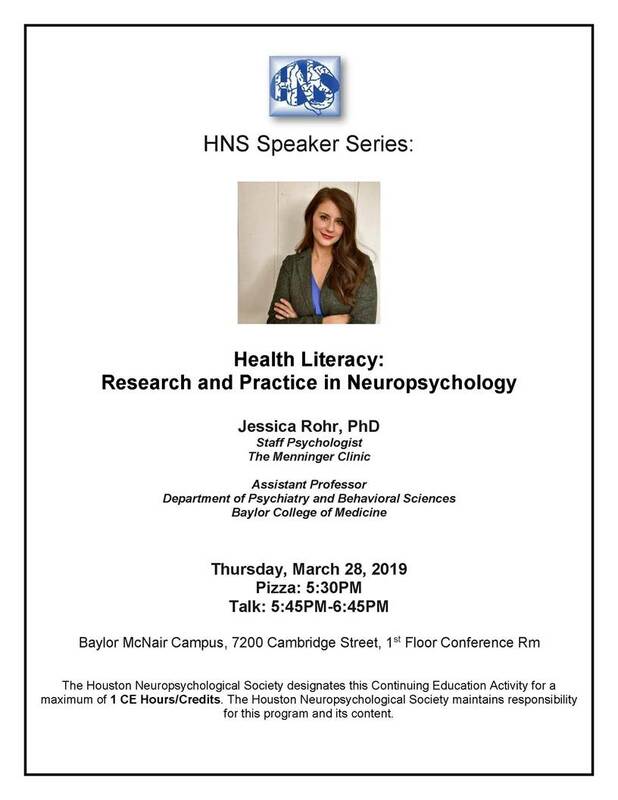 **The Houston Neuropsychological Society designates this Continuing Education Activity for a maximum of 1 CE Hours/Credits. **The Houston Neuropsychological Society maintains responsibility for this program and its content. This entry was posted in Events on May 17, 2018 by Jennifer Stinson.